Jethro Bovington of EVO Magazine recently got some seat time in the 2015 Jaguar F-Type Project 7 to provide a few initial driving impressions on Jaguar’s limited-production sports car speedster (only 250 will be built) for this new video. His impressions? Without giving away too much, we can tell you it’s the fastest F-Type yet, and it’s happy to leave smoking Continental tire residue all over the tarmac. 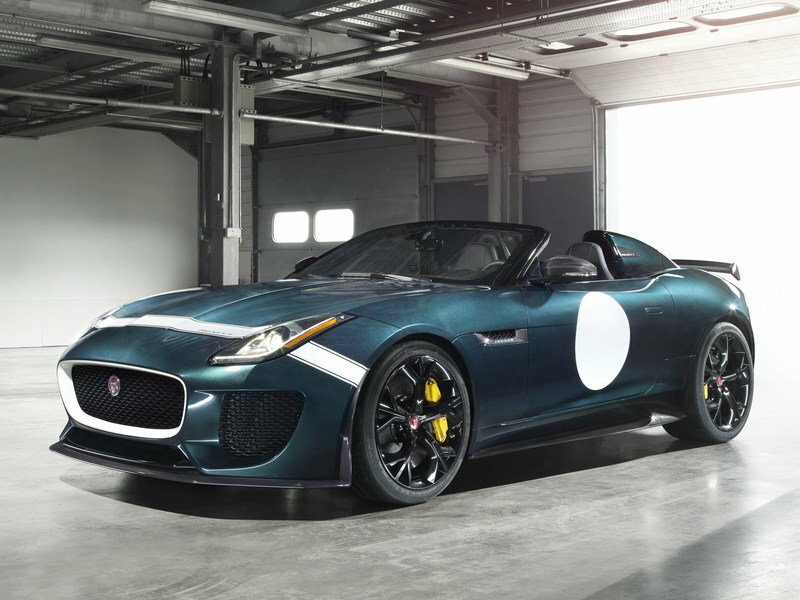 The Project 7 was originally introduced as a concept in 2013 and now, as a production car, is one of the first models tweaked by Jaguar’s newly formed Special Vehicle Operations division. 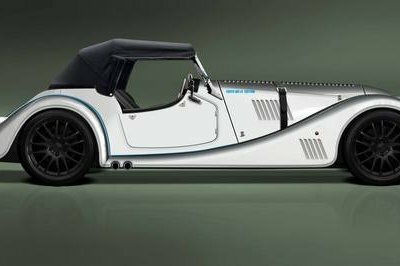 The name symbolizes Jaguar’s seven Le Mans victories between 1951 and 1990, and its livery pays homage to the Ecurie Ecosse D-Types that won at Le Mans in 1956 and 1957. But despite all the throwback Easter eggs, the Project 7 is firmly grounded in the now. 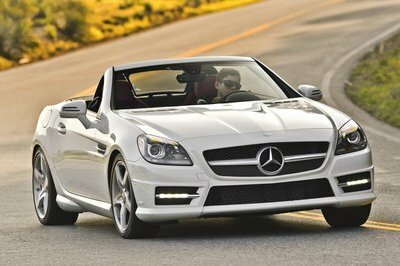 Its supercharged 5.0-liter V-8 puts down 567 horsepower — 25 horsepower more than the F-Type R — and 502 pound-feet of torque at 2,500 rpm. 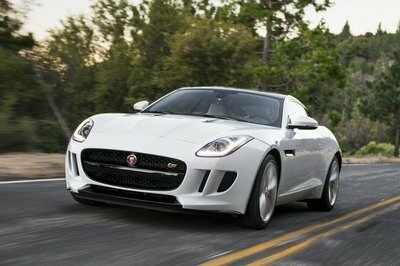 At 3,495 pounds, it’s also 176 pounds lighter than the 2015 Jaguar F-Type R. It all translates to a 0-60 time of 3.8 seconds and a top speed of 186 mph. New front suspension knuckles optimize camber and stiffer front and rear anti-roll bars provide a more track-biased setup. 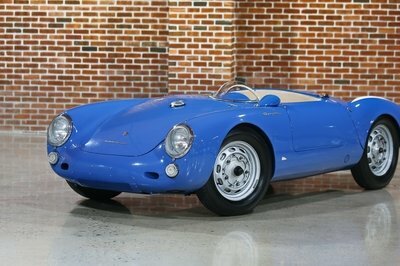 It also gets carbon-ceramic brakes at all four corners. 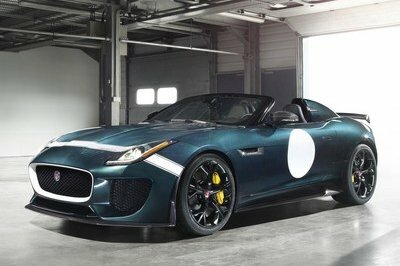 Aside from the lack of roof and driver-side aero element running along the rear deck (another D-Type Easter egg) the Project 7 also gets a body kit with much larger air intakes on the front fascia. 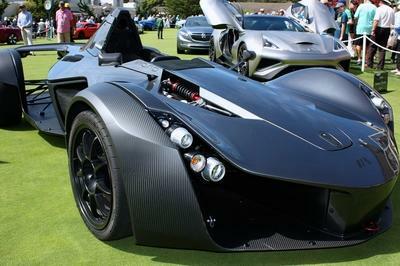 Look for this same kit on future SVO F-Types. Click through for a more detailed rundown from Jethro.